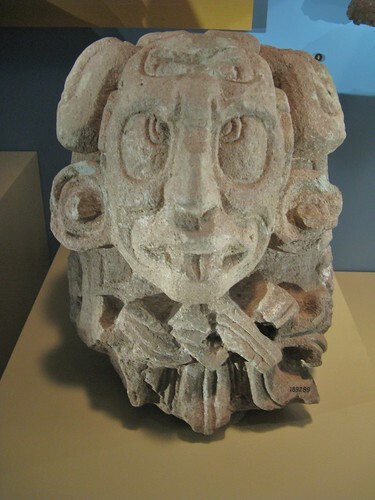 This is actually a solstice offering to an old Maya sun god, Kinich Ahau. A tiny snippet of history says that that some of his priests would leave offerings for him outside of the temple, and he descended from the sky in the form of a falcon at high noon to consume the gifts. So I set out the meal and offerings, opened my window, and left the house for a couple hours at midday. 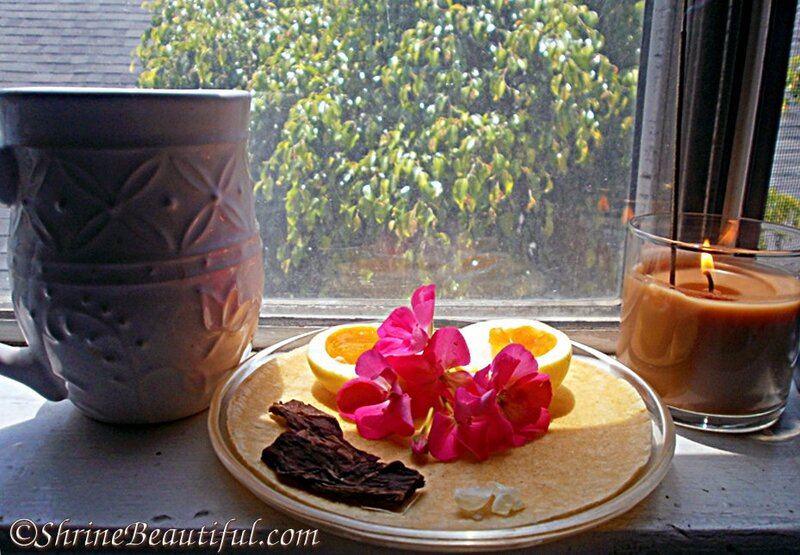 Offerings include: Hot chocolate spiked with vanilla vodka, hard-boiled eggs dyed yellow with herbs, flowers, tobacco and copal (which were burned later), and served on a dish with a yellow corn tortilla. Path: Still iffy on what to call myself, so maybe just say “Mesoamerican Reconstructionism”? This entry was posted in Eclectic, Holiday / Festival, Polytheist Revival, Shrines and tagged Kinich Ahau, Maya, Mesoamerica, Mesoamerican recon, offerings, Polytheistic reconstructionism, solstice by helmsin2. Bookmark the permalink.